Become part of a new tradition of giving by supporting Travis Early College High School and impacting the educational outcomes and success of our students. Help Travis Early College High School students excel in the classroom. Funds raised during the appeal will enhance the education of our students by enabling us to implement enrichment programs that are often difficult to support with our School’s annual operating budget. Your donation supports all areas of Travis Early College High School including, new and innovative technologies and curricula, classroom-based learning projects, and professional development for staff. You can help! Donations big and small keep our tradition of innovation alive and will transform learning for every Travis Early College High School student. 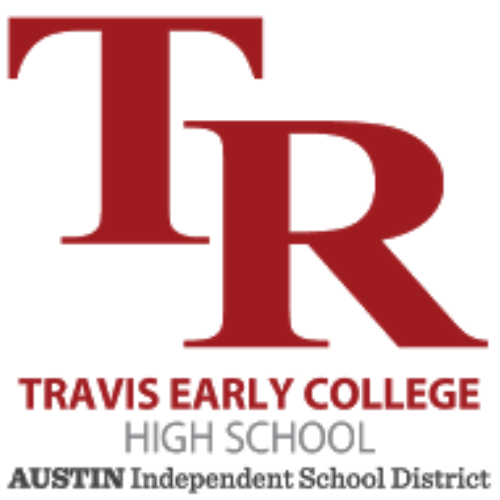 Gifts to the Travis Early College High School Annual Appeal are unrestricted, allowing the campus to use the funds to meet its most pressing needs. Donors who wish for their gift to be used only for a specified purpose, such as support for a particular academic program or classroom, may make a restricted gift. Please make a note in the comments sections regarding the intent of your donation.